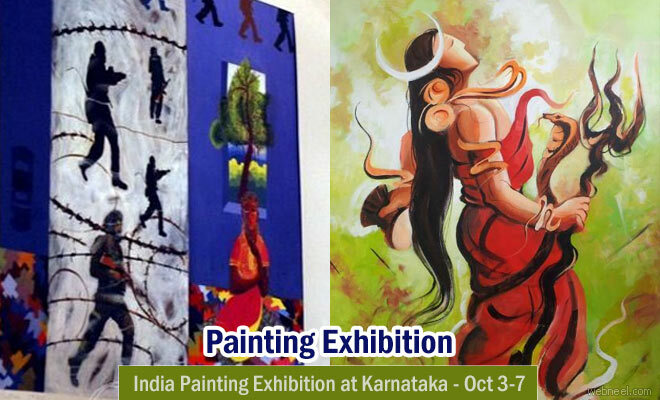 Date: From Oct 3- Oct 7th, students of the Manipal Art School will be exhibiting their paintings at the Vibhuti Art Gallery which is located near the city bus stand. This painting exhibition was organised by Manipal school of art partnered with Chitrakala Mandira. It's open to the public from 10 a.m till 6 p.m till Friday October 7th, 2016. More than 45 paintings created with different techniques will be displayed. The exhibition was inagugrated by K.P Rao on October 3rd, who is a software expert. Gunasagari Rao, Dhairya Shah, Vimal, Vaibhav, Vignesh, Arpita P., Samaashrita Addoor, Akshata P. Acharya, Suyesh, Sunil Patil, Shashank, Prajna Acharya. UPLOAD HERE - User submitted images will appear in Daily Inspiration page.